Hockey player Stevie Doolan has been selected to be part of the 2018 School Games – a national multi-sport event for the UK’s most talented school-age athletes. 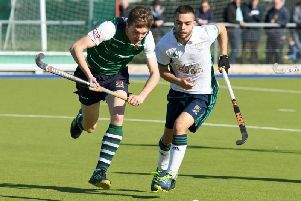 The Steyning-based goalkeeper will feature for the England boys blue squad at Loughborough University from August 30 to September 2. The 17-year-old is a student at the Seaford College and is a member of the Chichester Hockey Club. He already has an impressive record of success having been invited to play for the England under-16 team and being selected to train with the England under-18 team this year. More than 1,400 athletes will compete across 11 sports at the School Games, five of which include disability disciplines. Doolan will be following in the footsteps of some of Britain’s biggest sporting stars who have competed at the event before going on to senior international success. Previous competitors include Paralympic champions Hannah Cockroft, Ellie Simmonds and Jonnie Peacock, Olympic champion Adam Peaty, heptathlete Katarina Johnson-Thompson and sprinter Adam Gemili. At the event, Doolan will experience the excitement of competing at the highest level. “The School Games National Finals provide a great opportunity for talented young athletes like Stevie,” says Ali Oliver, Chief Executive Officer of the Youth Sport Trust. “Competitors get a real taste of what it’s like to be part of a world-class sporting event at the amazing sporting venues of Loughborough University, and the event is a great way to see our future sporting champions in action today."